One of the four original 1st Growths in the 1855 classification (along with Lafite, Margaux and Latour) Haut Brion has always ranked as one of the most desirable wines in the world. Its story, since 1855, has been quite incredible including a series of disasters that plagued the vineyards during the second half of the 19th century and occupation by German forces during WWII. In fact, during the war, Haut Brion served as a rest home for Luftwaffe pilots. 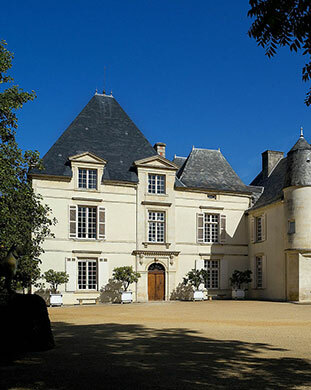 Owned by the Dillon family since 1934, the style of Haut Brion has changed over the years. During the '50s and early '60s the wines were rich, earthy and almost sweet, giving way to a much leaner, simplistic style of claret from 1966 to 1974. Since 1975 we have witnessed a return to the richer more complex style which many people know and love today. Haut Brion is stylistically unique amongst the 1st Growths and has always been very much the connoisseurs choice, often undervalued when compared to its illustrious piers in Pauillac and Margaux. The credit must duly be given the incredible work carried out by Jean Delmas who administered Haut Brion from 1961-2003, producing some of the greatest wines in living memory. His son, Jean-Philippe Delmas, has since picked up the baton and continues to carry on with his father's great work.